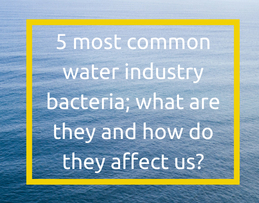 5 common water industry bacteria; what are they, how do they affect us? 5 common water industry bacteria; what are they and how do they affect us? In the UK we are fortunate to have a clean water source in our homes, this is a luxury the majority of us take for granted. 844 million people still lacked even a basic drinking water service. 263 million people spent over 30 minutes per round trip to collect water from an improved source (constituting a limited drinking water service). 159 million people still collected drinking water directly from surface water sources. When I turn on a tap in the UK I am almost 100% confident that the water coming out of it is clean and safe to drink. How do water companies keep our drinking water safe? I have learnt that all drinking water in the UK goes through a tried and tested sedimentation process, filtration process and a chemical treatment process to ensure that all solids, contaminants and pathogens are removed to safe guard consumers. However, utility companies can’t rest on their laurels; adverse weather, equipment failures or contamination in the water delivery systems, can lead to unsafe water occasionally slipping through the net. Having said that, the incidence rate of outbreaks of water borne disease in recipients of private water supplies may be as high as 35 times the rate in those receiving public water supplies. What waterborne pathogens are present in our water system and what affects do they have on us? 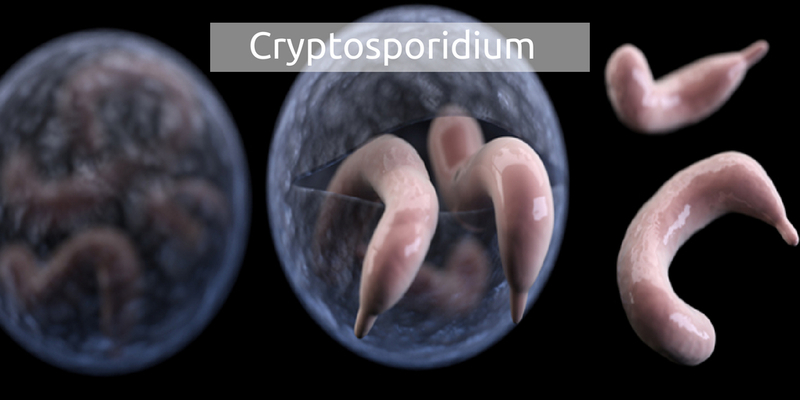 Cryptosporidium is a protozoan (single celled) parasite which, if ingested, can cause an illness called cryptosporidiosis. The main symptom in humans is watery diarrhoea, which can range from mild to severe. It is often accompanied by stomach pain, nausea or vomiting, fever and sometimes dehydration and weight loss. Anyone can become infected with Cryptosporidium, although illness is most common in children between 1 and 5 years of age. Campylobacter is 1 of 4 key global causes of diarrhoeal diseases. It is considered to be the most common bacterial cause of human gastroenteritis in the world. Campylobacter infections are generally mild, but can be fatal among very young children, elderly, and immunosuppressed individuals. 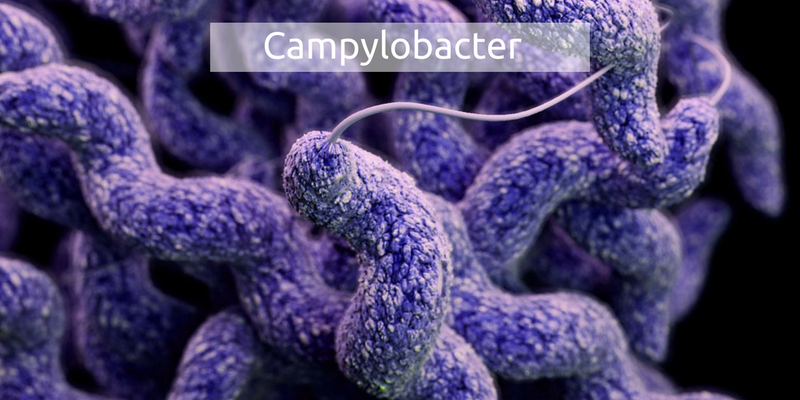 Campylobacter species can be killed by heat, effective disinfection of water, and thoroughly cooking food. eating contaminated, under cooked meat, especially chicken. drinking contaminated water or unpasteurised milk. eating food (such as salad) that has been cross-contaminated with Campylobacter from raw meats/poultry. handling young pets, other animals, raw meat and pet meat. Escherichia coli (E. coli) is a bacterium commonly found in the lower intestine of warm-blooded organisms. 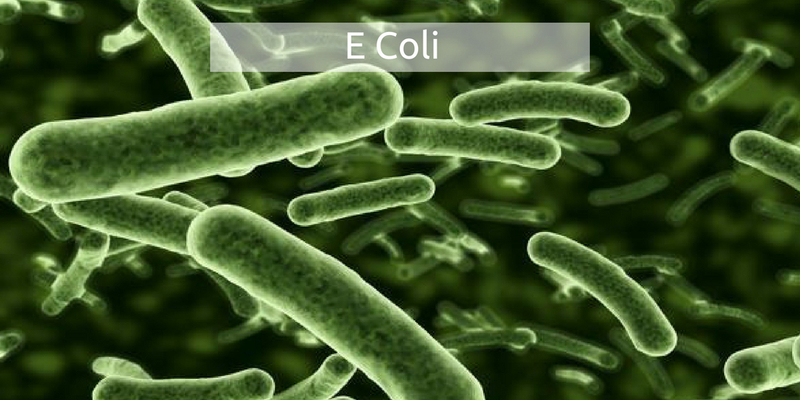 Most E.coli strains are harmless, but some can cause serious symptoms such as nausea, vomiting, diarrhoea and abdominal cramping. In most cases, the illness is self-limiting, but it may lead to a life-threatening disease including haemolytic uraemic syndrome (HUS) which causes kidney failure, especially in young children and the elderly. Most intestinal infections are caused by contaminated food or water. Proper food preparation and good hygiene can greatly decrease your chances of developing an intestinal infection. Symptoms of intestinal infection generally begin between 1 and 10 days after you’ve been infected with E. coli. This is known as the incubation period. Once symptoms appear, they usually last around 5 to 10 days. Legionellosis is a collective term for diseases caused by legionella bacteria including the most serious Legionnaires’ disease, as well as the similar but less serious conditions of Pontiac fever and Lochgoilhead fever. The bacterium Legionella pneumophilaand related bacteria are common in natural water sources such as rivers, lakes and reservoirs, but usually in low numbers. They may also be found in purpose-built water systems, where water is stored, exposed to temperature fluctuations or aerosolised, such as cooling towers, evaporative condensers, hot and cold water systems and spa pools. 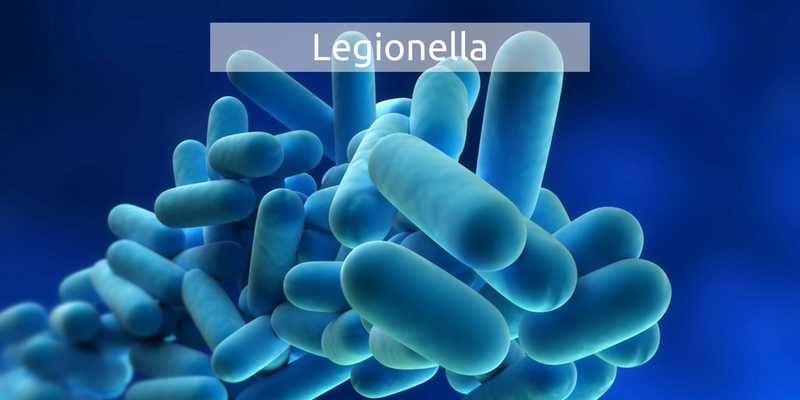 The symptoms of Legionella are similar to that of the flu. Very occasionally diarrhoea and signs of mental confusion. The illness is treated with an antibiotic called erythromycin or a similar antibiotic. Salmonella is 1 of 4 key global causes of diarrhoeal diseases. Most cases of salmonellosis are mild; however, sometimes it can be life-threatening. 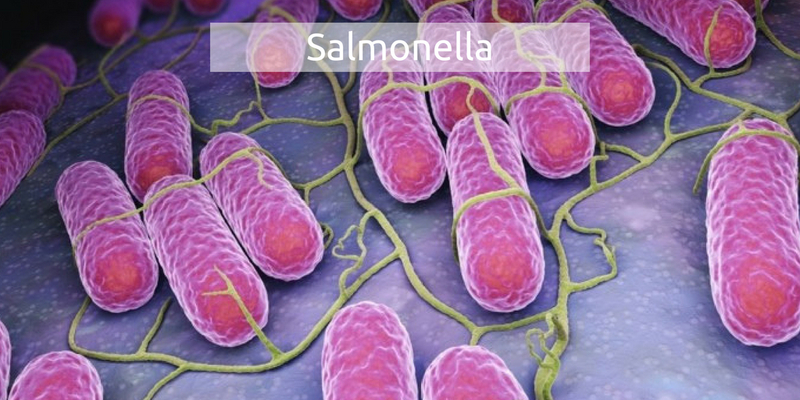 The severity of the disease depends on host factors and the serotype of Salmonella. Antimicrobial resistance is a global public health concern and Salmonella is one of the microorganisms in which some resistant serotypes have emerged, affecting the food chain. drinking water that has been contaminated, usually by animals or sewage. Person-to-person spread can happen if you come into contact with microscopic amounts of faeces (poo) from an ill person. Such spread may occur directly by close personal contact, or indirectly by touching contaminated surfaces such as taps, toilet flush buttons, toys and nappies. They all sound pretty dire, right? Can you imagine if these pathogens were not controlled properly, allowing them to infect a town, city or even a regions water supply? What about the 844 million people that still lack basic drinking water? What can be done for the 159 million people drinking from surface water sources? What can be done to help the world water crisis? At Bridge Biotechnology we build ESOL™ generators. These generators use only salt, water and electricity to produce an electrolyzed water called ESOL™. Electrolyzed water can be used as a direct chlorine replacement in drinking water however it safe to handle and not costly to produce. ESOL™ is more effective at killing pathogens than Chlorine and it also has residual kill which means the bacteria and viruses carry on being eliminated after it is added to the water source. Working with the University of the West of England and Portsmouth Aviation, we have established a portable drinking water system capable of delivering clean drinking water at source. Do the water disinfection methods applied in your business need reviewed? With continuous improvement in mind, would a safe sustainable option be better for your business?